Elizabeth Bennet is the Jane Austen heroine I personally should most delight to meet…Elizabeth, with her saucy wit, with that faint, faint but so comfortable touch of vulgarity which she alone of all the heroines is allowed to possess, with her warm heart, her stout spirit, her loyalty, her gaiety, her sense, is to me one of the most endearing characters, not only in Jane Austen’s novels but in all of literature. I read Pride and Prejudice for the first time when I was fifteen. Unlike some of my other classmates, I was eager to pick the book up, thrilled to finally discover the story that lay behind those famous opening lines, and ecstatic to have entire classroom-full of other fifteen year old girls with whom to discuss the book. 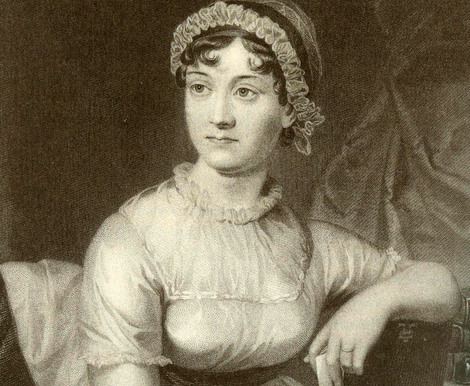 I did not need to be convinced of Austen’s brilliance; by then I had already fallen in love with Emma, delighted over Northanger Abbey, and, like Elinor, cried for Marianne in Sense and Sensibility. But those reading experiences had been solitary. Reading Pride and Prejudice in a classroom of twenty girls was a heady experience. We swooned over Pemberley (and Mr Darcy), condemned foolish little Lydia for her reckless behaviour, and wanted more than anything to be just a little bit like Elizabeth Bennet, even with her obvious shortcomings. It was the most fun I have ever had “studying” a novel, with the discussions carring far beyond the classroom. All over the school, you could find girls reading ahead in their already tattered copies of the book, asking how far along their friends had got, wondering if it would be safe to talk to them about Darcy’s letter or Lydia’s elopement, not wanting to spoil the delights ahead for those who had not yet reached them. My own aged paperback copy is falling apart now (it was not very good quality to begin with) but I can’t imagine ever letting it go. No, that would mean I would never been able to pick it up and see my gushing notes in the margins or the little hearts I drew (in red ink, of course) around the speeches I found most romantic – judging by these hearts, I, unlike Elizabeth, found the first proposal very appealing. It is easier for me now to see the book’s flaws – like Kaye-Smith, I consider it the weakest of Austen’s six novels – but it is never anything less than delightfully fun to read. Thanks for sharing what PP meant to you. It must be so strange to see those little hearts and remember the young girl you were once. Quite touching. Not strange at all! While I would never write in a book nowadays (I only ever did so in school), I do still feel little flutterings when I read certain scenes and the hearts remind me that my reaction hasn’t changed despite countless rereadings. I have an ongoing discussion with my sister about whether we read Pride and Prejudice in Mr Klingler’s 11th grade English class. I think we did, and that I loved it even then, but maybe not? Happy Pride and Prejudice Day! See, that is yet another reason why I can never let go of my school copy of P&P: even if my memory fades, I will have physical proof of how much I loved it the first time around! I hope I can give my students the same experience when we start studying this in the summer! I had a wonderful time discussing P&P at school – we studied it alongside Emma for our A Level in English Literature and I looked forward to those lessons so much! But the most flawed of Austen’s novels?! Surely not, Claire! 😉 That spot will always belong to Mansfield Park for me. Though saying that, I’ve never re-read Northanger Abbey. So maybe that would take the sixth spot. I’ll have to pick it up again one of these days and find out! I hope you can too, Rachel, and I am pretty confident you will. Our teacher that year was young (she had actually been the youth leader for my brownie pack when I was little and she was in her teens – I had to fight the urge to call her “Golden Owl” all year), enthusiastic, and we adored her. Reading a good book with a great teacher makes for an experience you never forget. I stand by my (obviously controversial) statement, Rachel! The only book that challenges it, in my opinion, for bottom spot is Sense and Sensibility but then I remember Marianne, who is so brilliantly written, so much truer and insightful than any of the characters in P&P, and I am confident in my judgement. There are things I loathe about Mansfield Park (does anyone like Edmund Bertram? If so, how?) but I think the book as a whole is brilliant, not quite at the level of Emma or Persuasion but very close. And Northanger Abbey, to me, is the strongest of the early novels. S&S and P&P battle it out for my top spot, and here they are at your bottom spot! Persuasion is easily my least favourite – but, like Emma, Mansfield Park, and Northanger Abbey, I have only read it once! This was one of those instances when I certainly felt the benefit of being at an all-girls’ school! We all loathed Jane Eyre when we read it the year before, finding Jane irritating and Mr Rochester so wildly unattractive that we couldn’t help but hate the heroine even more for finding him appealing. But give us Jane Austen, with suitors and their corresponding incomes to be considered, and we were even more invested than Mrs Bennet in seeing that Lizzy and Jane made advantageous marriages. I am sure our reactions would have horrified some of the more romantic readers but we were deeply interested in the financial futures of the characters. Never has a group of teenage girls been so universal in their praise for Charlotte Lucas and her practical ambitions! I still have my battered orange Penguin edition, my first copy of P&P. At one point I had a matching set, but the rest were lost in a basement flood. 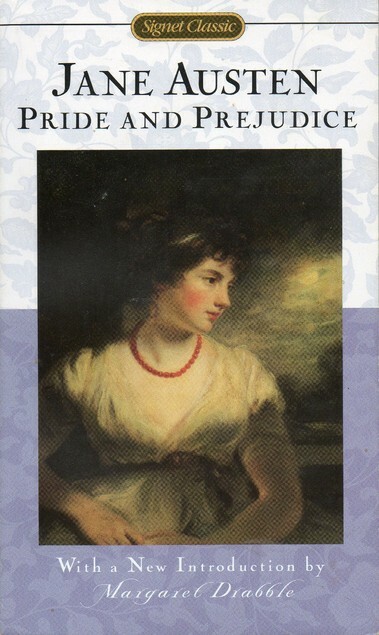 I have another copy that I actually read, I treasure this one because it was my entry to Jane Austen and her world. I love that people around the world are celebrating the anniversary of its publication! and that my copy of What Matters in Austen has finally shipped! I am so jealous that your copy of What Matters in Jane Austen is on its way to you! I can’t wait to read it though, in all honesty, I am not really sure it will be able to measure up to Sheila Kaye-Smith and G.B. Stern’s Speaking of Jane Austen, which I read earlier this month and know will be on my “Best of 2013” list. Isn’t it exciting to think that the novel is two hundred years old and people are still reading and loving it! That is staying power. Jane Austen would have been amazed to know the impact that book, as well as her other books, have had on readers all around the world and through the centuries. It is always a little sad to think that authors like Austen had no inkling of how well their books would last, but I suppose immortality in print isn’t something you should ever be confident of!